‘A Chat With Investors’ is our new blog series, in which we ask successful investors to share their knowledge, experience, and tips for both entrepreneurs and beginning startup investors. 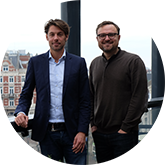 We talked to Corné Jansen, director at INKEF Capital, an early-stage venture capital firm based in Amsterdam, that focuses mainly on series A investments but covers multiple investment stages. 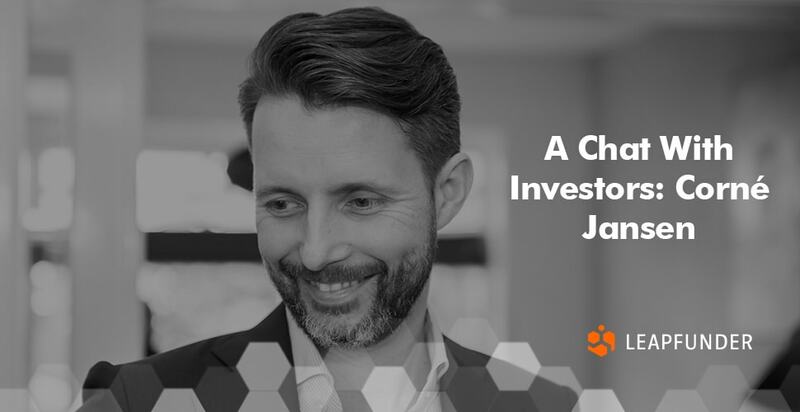 Find out what he enjoys most about his work, what’s his advice for early-stage startups about talking to VCs and where he sees the Dutch market going. 1. Hi Corné, thank you for agreeing to do the interview. Can you tell us a bit about yourself and your background? Sure, I was born and raised in a small town in the south of the Netherlands, I never could have fathomed that I would end up in VC. I have always been interested in tech, but my childhood dream was to become a fighter pilot. When that did not materialize I first worked in the event industry. What was supposed to be a summer job turned into a couple of years of building stages, sound & lighting systems for a variety of acts and festivals. After getting my degree, I worked in IB for the London-based technology coverage groups of Credit Suisse and Merrill Lynch. This was my first in-depth experience of working closely with technology companies. 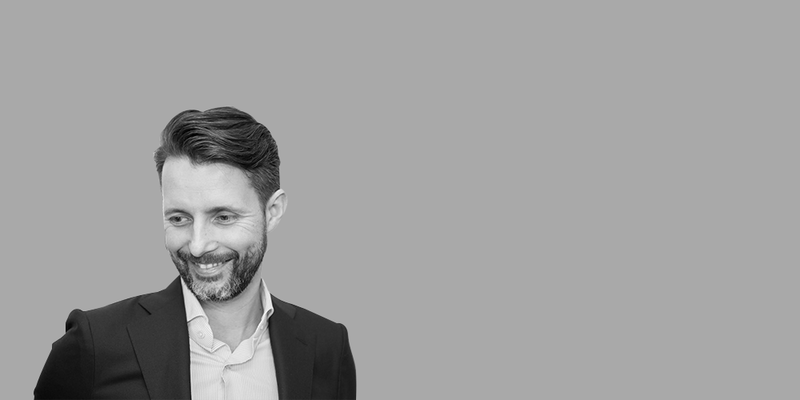 After some years of M&A and ECM with transactions spanning from €200 million to €11 billion, I decided that I wanted to work more intensively with technology companies and moved to the ‘buy side’, first in growth equity and then into VC. It was an interesting path that led to my current job, which is a blast. 2. Every VC has a specific mandate. What is the mandate of your investment fund? What do you enjoy most about your work? At INKEF we focus on series A investments in both Technology (Software, FinTech, Digital Media) and Life Sciences (Pharma, Therapeutics and Medical Devices). The long-term nature of our fund set-up is pretty unique, which allows us to not only do our full pro-rata in later rounds or simply double down ourselves, but we are not in a rush to exit our investments needlessly. It can take a long time to build a successful company and we can be there every step of the way, through good times and the bad. What I enjoy most is the fact that I am blessed to be in a position where I meet many incredibly talented, passionate people. It is also cool to be able to look at opportunities from a wide variety of angles (product, technology, commercial engine, etc.). The best days are when I meet several great companies in a single day which really gives me a lot of energy. It is cool to see how a small thing like an intro can have an immediate meaningful impact. In our line of work, we essentially try to “manufacture serendipity”. 3. What advice would you give early-stage startups about talking to VCs early on? Talking early on with VCs can be interesting but putting your head down to build a great product is probably the best use of your time. If you really want to talk to VCs then do this in an informal setting at an event where you were planning to be anyways and really get to know the people. Be mindful of your time though and don’t drink too many coffees with too many VCs. Rather spend time with a few selected VCs that fit you (personally), and are willing and able to help you reach the right milestones to raise funding. It is certainly helpful for a VC to be able to keep track of your progress over time, but find a way to manage this time-efficiently. 4. What advice would you give startups that already went through angel investment and are trying to figure out the next steps? What does it take to be eligible for Series A investment? That is actually a really difficult question to answer in the category ‘it depends’, and it is where your homework on the VCs comes in. Aside from a great team, traction is probably a must, in whatever shape or form you can show it. This could be downloads and an active community for an open source/core startup, a decent MRR level for a SaaS play, or a few enterprise logos of high-quality use cases in Enterprise Software. Make sure that you have a good grasp of the relevant KPIs for your business. Capture that data as early on as possible (and only report on it if you should be using that information for your day-to-day management of operations). Try to find out early what the minimum and maximum ticket is of a VC, do they fund pre-revenue companies or have a minimum MRR requirement, etc. Where is the VC in its fund cycle? Do exits have to move the needle for a 40M or a 400M fund (etc.)? 5. The startup hype in the Netherlands started about 5 years ago, and it is way easier to start a company now. Where do you see the market going? I am pretty bullish regarding the Netherlands. On the talent side, you have more and more operators who have managed large teams at various startups. We have a growing number of serial entrepreneurs who are acting as experienced angels or are setting up their own funds. Capital is increasing globally with US VCs looking at the European and Dutch market more and more. Until we see the inevitable correction the likelihood of raising capital is good. We are a pretty nice country to live in from a work/life balance perspective and our geographic location within Europe is ideal. There is some catching up to do when looking at London and Paris but the right ingredients are all here. I would just love to see more companies with ‘outlier ambition and potential’. There are a few things that we could benefit from, and that would be (i) another couple of great exits (hopefully with the result of more financially independent people (F/M) who then start new companies) and (ii) that the government does something on the fiscal treatment around stock options for startups where we have a detrimental competitive position compared to our neighboring countries. I really feel that there is an opportunity here. Thank you for your insights, Corné! We wish you the best of luck in your future endeavours.